I finished a quilt. I haven't been able to say that for many, many months. And it feels great. 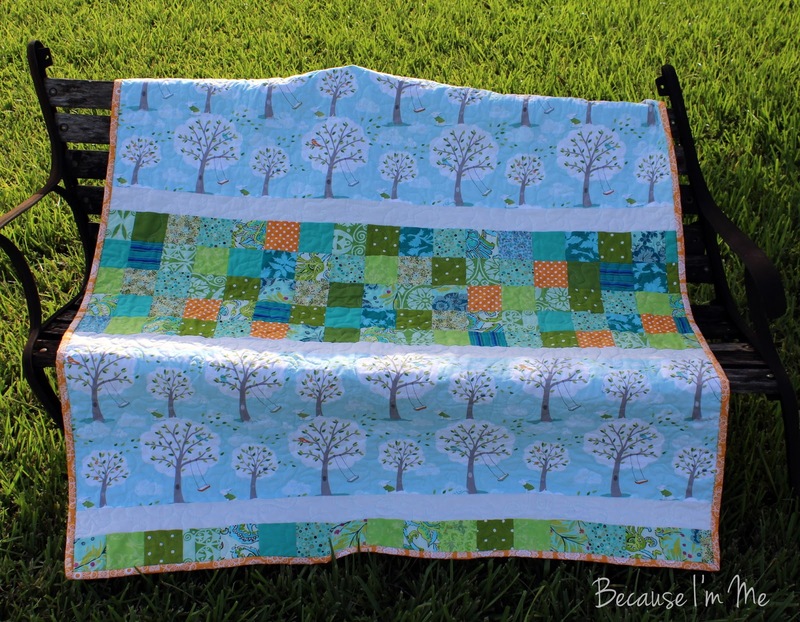 The main fabric in this quilt is Windy Day, a part of the Backyard Baby collection at Michael Miller. I opted to not cut it up and to center the rest of the quilt around this adorable fabric, it's just that delightful. 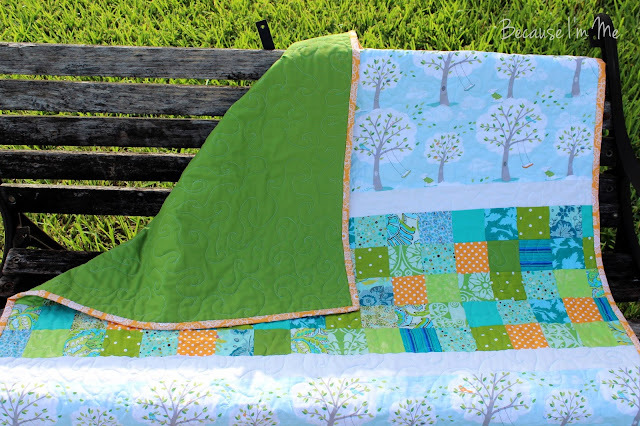 The patchwork features coordinating prints in greens, blues, and one "pop" of orange dot. 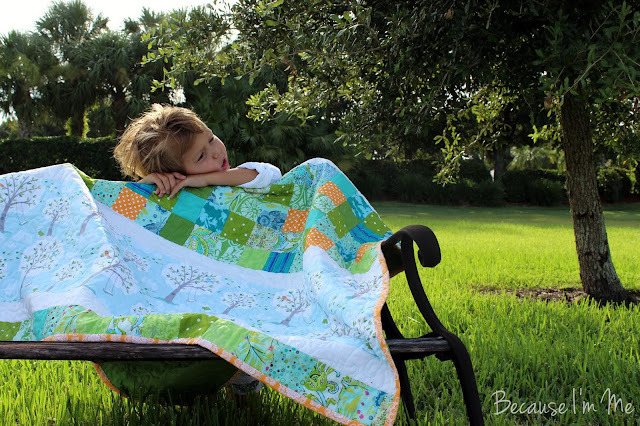 The binding is an orange medallion print, a simple frame for the quilt, and the backside is a solid green Kona cotton. 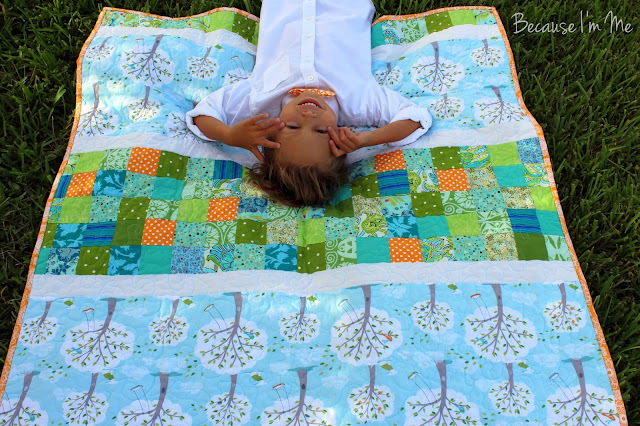 The quilting is done in gentle, windy, free-motion waves in soft blue thread, to mimic the clouds in the Windy Day print. The quilt measures about 42" by 48". Honestly, I'd love to keep this. If I were decorating a nursery this would be the quilt I'd build it around. It feels so fresh and gentle, with a hint of the outdoors. It makes me very happy. The quilt is available in the shop. 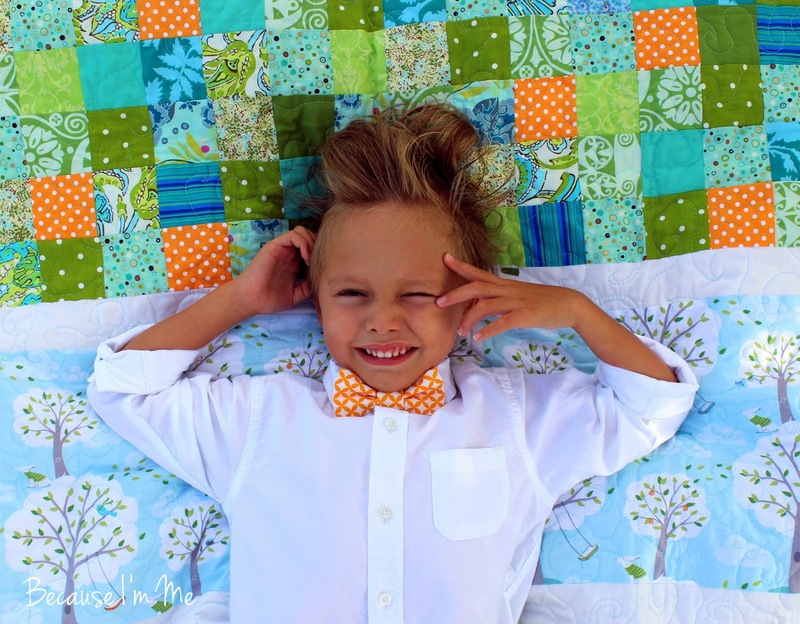 The orange bow tie River is sporting is also available in the shop. All photos courtesy of my new assistant, my daughter Cassie. She's working for me a few hours a week and is proving herself invaluable (I already knew she was! ).